Location Our dive center is located in the city of Bocas del Toro that's on the island 'Isla Colon', in the province of Bocas del Toro, Panama. Isla Colon is part of an archipelago in the Caribbean Sea, in northwest Panama. Isla Colon is often referred to by the name of it's only city, Bocas del Toro, or just Bocas. 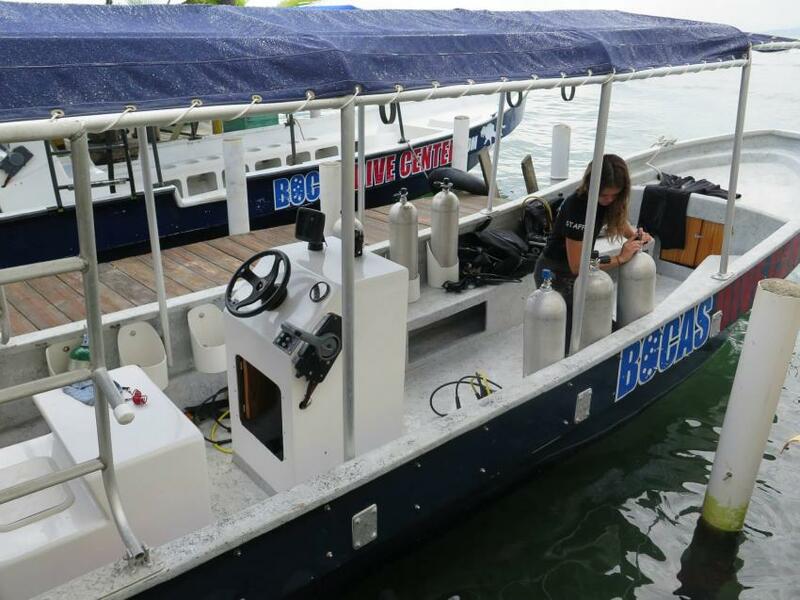 Once you arrive it's easy to find Bocas Dive Center. We are located on the water, on Avenida Sur (South Street) and Calle 4ta, 2 doors down from the ferry dock. Non-diving activities Kayak rentals and snorkelling trips. PHYSICALlY DISABLED DIVERS We have DDI instructors. Chica - 25 feet fiber glass boat, with 100 HP Yamaha 4 strokes, central control. Total capacity 8 divers. Grande - 31 feet fiber glass boat, with 200 HP Yamaha 2 strokes, central control. Total capacity 13 divers. Read before you go We follow basic safe diving protocols so no student or diver that seems hangover or smelling of alcohol will go on any dive trips. No flying is allowed for a minimum of 12 hours after a dive. We offer both land and water transfer for free within the bay. For outside of Isla Colon bay transfer please contact us for a quote. 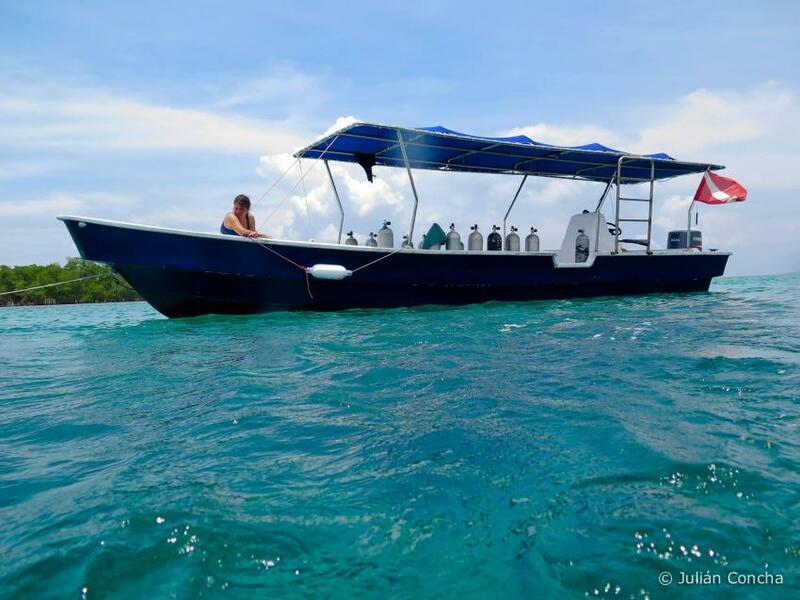 We are a PADI 5 Star Dive Center and Surf School located in the heart of Bocas town on Isla Colon.